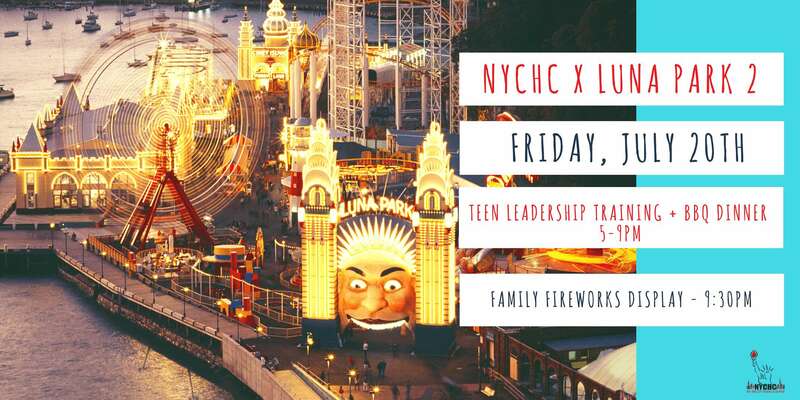 NYCHC is going back to LUNA Park and you’re invited! Friday nights at Luna Park means fireworks! Families are invited to watch the fireworks display with NYCHC. We’ll designate a meeting spot where we can get a great view and hang out together! *Teens will be supervised throughout Luna Park by NYCHC staff/volunteers.